Use the menu below to select the appropriate Komatsu diesel engine. 236582 KDC410 KOMATSU Diesel Engine KDC410 Service(Shop) Manual. 236590 DT414-1 KOMATSU Diesel Engine DT414-1 Spare parts catalog. 236597 DT466-1 KOMATSU Diesel Engine DT466-1 Spare parts catalog. 236602 KDC610 KOMATSU Diesel EngineKDC610 Service(Shop) Manual. 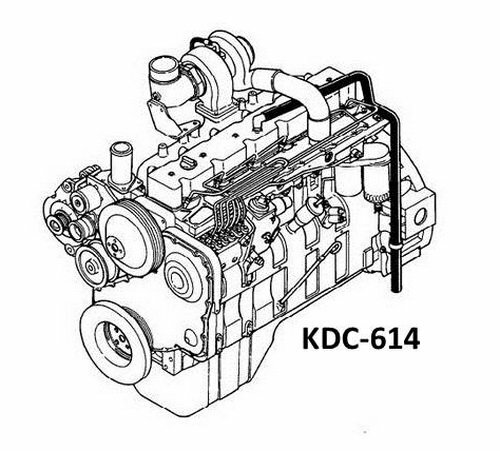 236607 KDC614 KOMATSU Diesel Engine KDC614 Service(Shop) Manual. 236612 KT-1150-1A KOMATSU Diesel EngineKT-1150-1A Spare parts catalog. 236613 KT-1150-1B KOMATSU Diesel Engine KT-1150-1B Spare parts catalog. 236614 KT-1150-1D KOMATSU Diesel Engine KT-1150-1D Spare parts catalog. 236615 KT-1150-1E KOMATSU Diesel Engine KT-1150-1E Spare parts catalog. 236616 KT-1150-1F KOMATSU Diesel Engine KT-1150-1F Spare parts catalog. 236617 KT-1150-1Y KOMATSU Diesel Engine KT-1150-1Y Spare parts catalog. 236623 VT-1710-1 KOMATSU Diesel Engine VT-1710-1 Spare parts catalog. 236624 VTA-1710-1A KOMATSU Diesel Engine VTA-1710-1A Spare parts catalog. 236625 VTA-1710-1B KOMATSU Diesel Engine VTA-1710-1B Spare parts catalog. 236626 VTA-1710-1C KOMATSU Diesel EngineVTA-1710-1C Spare parts catalog. 236627 VTA-1710-1D KOMATSU Diesel Engine VTA-1710-1D Spare parts catalog. 236633 NH-220-CI-1A KOMATSU Diesel Engine NH-220-CI-1A Spare parts catalog. 236634 NH-220-CI-1B KOMATSU Diesel EngineNH-220-CI-1B Spare parts catalog. 236635 NH-220-CI-1D KOMATSU Diesel Engine NH-220-CI-1D Spare parts catalog. 236636 NH-220-CI-1E KOMATSU Diesel Engine NH-220-CI-1E Spare parts catalog. 236637 NH-220-CI-1F KOMATSU Diesel Engine NH-220-CI-1F Spare parts catalog. 236638 NH-220-CI-1G KOMATSU Diesel Engine NH-220-CI-1G Spare parts catalog. 236639 NH-220-CI-1H KOMATSU Diesel Engine NH-220-CI-1H Spare parts catalog. 236640 NH-220-CI-1J KOMATSU Diesel Engine NH-220-CI-1J Spare parts catalog. 236641 NH-220-CI-1K KOMATSU Diesel Engine NH-220-CI-1K Spare parts catalog. 236642 NH-220-CI-1L KOMATSU Diesel Engine NH-220-CI-1L Spare parts catalog. 236643 NH-220-CI-1N KOMATSU Diesel Engine NH-220-CI-1N Spare parts catalog. 236644 NH-220-CI-1P KOMATSU Diesel Engine NH-220-CI-1P Spare parts catalog. 236645 NH-220-CI-1Q KOMATSU Diesel Engine NH-220-CI-1Q Spare parts catalog. 236646 NH-220-CI-1S KOMATSU Diesel Engine NH-220-CI-1S Spare parts catalog. 236647 NH-220-CI-2AA KOMATSU Diesel Engine NH-220-CI-2AA Spare parts catalog. 236648 NH-220-CI-2B KOMATSU Diesel Engine NH-220-CI-2B Spare parts catalog. 236649 NH-220-CI-2C KOMATSU Diesel Engine NH-220-CI-2C Spare parts catalog. 236650 NH-220-CI-2D KOMATSU Diesel Engine NH-220-CI-2D Spare parts catalog. 236651 NH-220-CI-2E KOMATSU Diesel Engine NH-220-CI-2E Spare parts catalog. 236652 NH-220-CI-2F KOMATSU Diesel EngineNH-220-CI-2F Spare parts catalog. 236653 NH-220-CI-2FF KOMATSU Diesel Engine NH-220-CI-2FF Spare parts catalog. 236654 NH-220-CI-2G KOMATSU Diesel Engine NH-220-CI-2G Spare parts catalog. 236655 NH-220-CI-2H KOMATSU Diesel Engine NH-220-CI-2H Spare parts catalog. 236656 NH-220-CI-2HH KOMATSU Diesel Engine NH-220-CI-2HH Spare parts catalog. 236657 NH-220-CI-2JJ KOMATSU Diesel EngineNH-220-CI-2JJ Spare parts catalog. 236658 NH-220-CI-2K KOMATSU Diesel Engine NH-220-CI-2K Spare parts catalog. 236659 NH-220-CI-2KK KOMATSU Diesel Engine NH-220-CI-2KK Spare parts catalog. 236660 NH-220-CI-2L KOMATSU Diesel Engine NH-220-CI-2L Spare parts catalog. 236661 NH-220-CI-2LL KOMATSU Diesel Engine NH-220-CI-2LL Spare parts catalog. 236662 NH-220-CI-2N KOMATSU Diesel Engine NH-220-CI-2N Spare parts catalog. 236663 NH-220-CI-2Q KOMATSU Diesel Engine NH-220-CI-2Q Spare parts catalog. 236664 NH-220-CI-2R KOMATSU Diesel Engine NH-220-CI-2R Spare parts catalog. 236665 NH-220-CI-2T KOMATSU Diesel Engine NH-220-CI-2T Spare parts catalog. 236666 NH-220-CI-2V KOMATSU Diesel Engine NH-220-CI-2V Spare parts catalog. 236667 NH-220-CI-2W KOMATSU Diesel Engine NH-220-CI-2W Spare parts catalog. 236681 NTC-743-1B KOMATSU Diesel Engine NTC-743-1B Spare parts catalog. 236682 NTC-743-1C KOMATSU Diesel Engine NTC-743-1C Spare parts catalog. 236683 NTC-743-1D KOMATSU Diesel Engine NTC-743-1D Spare parts catalog. 236684 NTC-743-1E KOMATSU Diesel Engine NTC-743-1E Spare parts catalog. 236685 NTC-743-1F KOMATSU Diesel Engine NTC-743-1F Spare parts catalog. 236693 N-855-1 KOMATSU Diesel Engine N-855-1 Spare parts catalog. 236694 NT-855-1A KOMATSU Diesel Engine NT-855-1A Spare parts catalog. 236695 NT-855-1B KOMATSU Diesel Engine NT-855-1B Spare parts catalog. 236696 NT-855-1D KOMATSU Diesel Engine NT-855-1D Spare parts catalog. 236697 NT-855-1E KOMATSU Diesel Engine NT-855-1E Spare parts catalog. 236698 NT-855-1F KOMATSU Diesel Engine NT-855-1F Spare parts catalog. 236699 NT-855-1J KOMATSU Diesel Engine NT-855-1J Spare parts catalog. 236700 NTA-855-1A KOMATSU Diesel Engine NTA-855-1A Spare parts catalog. 236701 NTA-855-1F KOMATSU Diesel Engine NTA-855-1F Spare parts catalog. 236702 NTA-855-C KOMATSU Diesel Engine NTA-855-C Service(Shop) Manual. 236713 NHC-4-CI-1C KOMATSU Diesel Engine NHC-4-CI-1C Spare parts catalog. 236714 NHC-4-CI-1S KOMATSU Diesel Engine NHC-4-CI-1S Spare parts catalog. 236723 NRTO-6-CI-1C KOMATSU Diesel Engine NRTO-6-CI-1C Spare parts catalog. 236724 NRTO-6-CI-1T KOMATSU Diesel Engine NRTO-6-CI-1T Spare parts catalog. 236725 NTO-6-B-1A KOMATSU Diesel Engine NTO-6-B-1A Spare parts catalog. 236726 NTO-6-CI-1B KOMATSU Diesel Engine NTO-6-CI-1B Spare parts catalog. 236727 NTO-6-CI-1C KOMATSU Diesel Engine NTO-6-CI-1C Spare parts catalog. 236728 NTO-6-CI-1D KOMATSU Diesel Engine NTO-6-CI-1D Spare parts catalog. 236729 NTO-6-CI-1G KOMATSU Diesel Engine NTO-6-CI-1G Spare parts catalog. 236730 NTO-6-CI-1H KOMATSU Diesel Engine NTO-6-CI-1H Spare parts catalog. 236731 NTO-6-CI-1M KOMATSU Diesel Engine NTO-6-CI-1M Spare parts catalog. 236732 NTO-6-CI-1N KOMATSU Diesel Engine NTO-6-CI-1N Spare parts catalog. 236733 NTO-6-G-1G KOMATSU Diesel Engine NTO-6-G-1G Spare parts catalog. 236734 NTO-6-G-1J KOMATSU Diesel Engine NTO-6-G-1J Spare parts catalog.